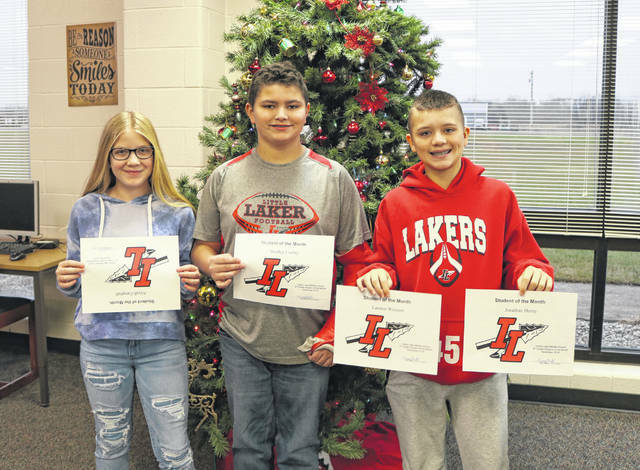 These Indian Lake Middle School Students of the Month are ending 2018 with a major award! Congratulations to the latest picks for ILMS Students of the Month: ILMS 8th grader Jonathan Henry (not pictured), 7th grader Landen Wisener, 6th grader Bradley Cooley and 5th grader Aliya Campbell (pictured in order). These students are chosen by their teachers and staff for demonstrating good citizenship, earning good grades and having a positive attitude. They receive a certificate, a homework pass, a pass to the front of the lunch line for a month, a free Cassano’s pizza and an ice cream treat.